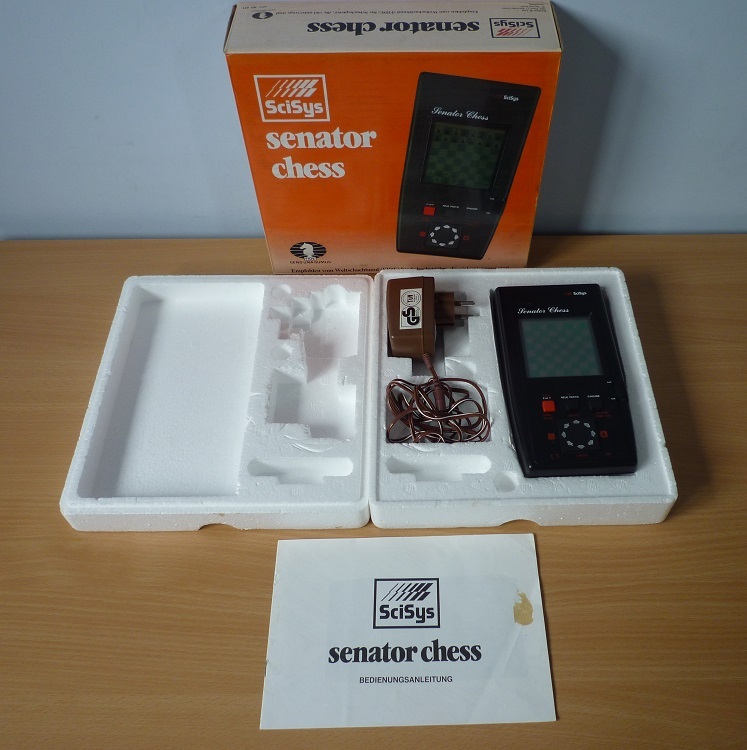 The Scisys Senator Chess is the German version of Executive Chess, which sold in most other countries including the USA and UK. Apart from the name and the German language key descriptions the two machines are identical. 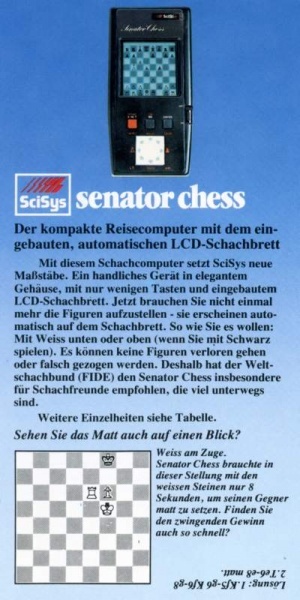 The Senator sold for 298 DM in Germany. SL90553 cpu, 2 MHz ? 8 bit ?